My co-author, Karl Mehta and I have both been working for years in the exciting field of mobile financial services. Reflecting on what has already happened, one can see the world reshaping. And yet, it is only the beginning. But it has given us a view of what is possible. 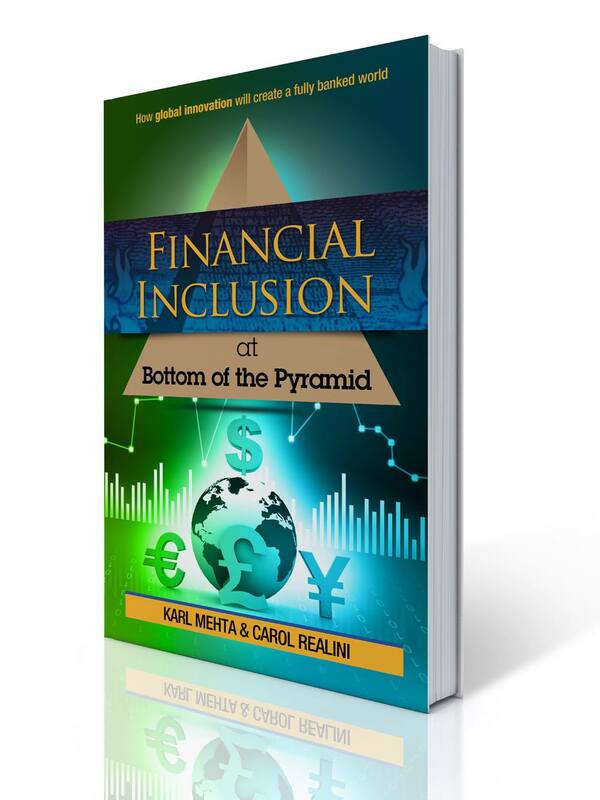 Our book Financial Inclusion at the Bottom of the Pyramid will spotlight what is happening today around the globe – which we think you will agree is quite extraordinary. The future of financial services is emerging – it is just not evenly distributed. So much innovation is taking place, even in the most unlikely places. Who would have predicted that Kenya would become a leader in mobile banking innovation – but it is. We want to seek out all the best examples of financial inclusion in the world. We need your help finding them. We don’t want to be limited to our networks and knowledge. We want to surface all the best examples – and showcase them. This will benefit the larger effort and will definitely benefit the people and companies involved. Emerging successes no longer have to be on an “A” list in Silicon Valley to be discovered. The world should understand the efforts and successes that are out there, no matter where they are. Get involved in the FI@BOP community by liking us on Facebook (www.facebook.com/financialinclusionBOP), following us on Twitter (http://tinyurl.com/FIBOPTWITTER), and connecting to us on Linkedin (http://tinyurl.com/FinancialInclusion). Reach out to your network and let them know about the upcoming book and the search for the best success stories. Volunteer to be a FI@BOP ambassador. There is much to do. If you have time and want to help, become an ambassador by emailing your interest to carol@realini.com. In the last decade communications has reached billions who have traditionally been underserved. In the next decade, financial services can reach the 2.5 Billion that have been previously excluded. Be a part of making this happen. Get involved with the FI@BOP community. This entry was posted in Africa, Bank Innovation, Entrepreneurship, Financial Inclusion, Leadership and Management, Mobile Money, Uncategorized, Women, World Economic Forum and tagged banking innovation, Bottom of Pyramid, carol realini, financial inclusion, inclusive growth, Karl Mehta, mobile banking, mobile payments, Omney, Omneyinc, Rodney Robinson, Success Stories. Bookmark the permalink.